The sun can really damage the skin. Y’all know that already right? Ever since I first started going on holiday with my parents I’ve been lectured on the importance of wearing sunscreen. There is nothing worse than coming home with a red nose or burnt shoulders or my least favourite - Foot burns. Burns create a inflammation on the skin which is NOT good. The inflammation compromises the skin barrier and makes it more vulnerable. 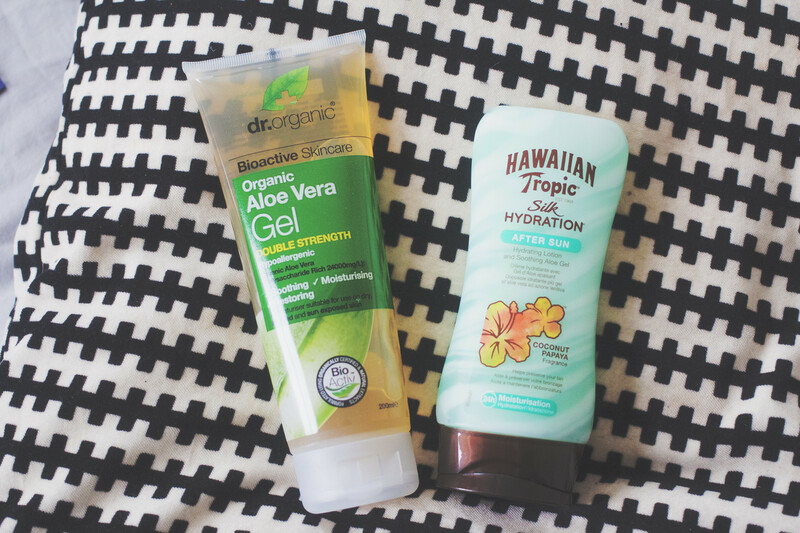 It’s essential to treat and moisturise the skin as soon as you can after noticing you have been burnt. Think cooling gels, balms and light lotions. Dont use thick creams because they are so heavy and can sit on the skin rather than sink in and provide moisture. Look out for skin soothing ingredients like aloe and chamomile or even hydrating ingredients like hyaluronic acid. Try and be as safe as you can in the sun. Remember it’s at it’s hottest during 11-3 so keep out of the sun when it’s at it’s highest. I know it’s boring but it’s really important to protect yourself from the sun. SPF is a faff and something that so many people avoid during the day. It’s essential as sun damage is a cause premature signs of ageing and a source of skin cancer. Oh… And It’s also best to drink lots and lost of water if you are burnt - Dehydration wont help calm inflammation! A person who likes being outdoors is always at risk of getting sunburnt. It is a painful experience. Especially when you didn't even realize you were out in the sun that long. Maracuja oil helps to heal the skin quickly.